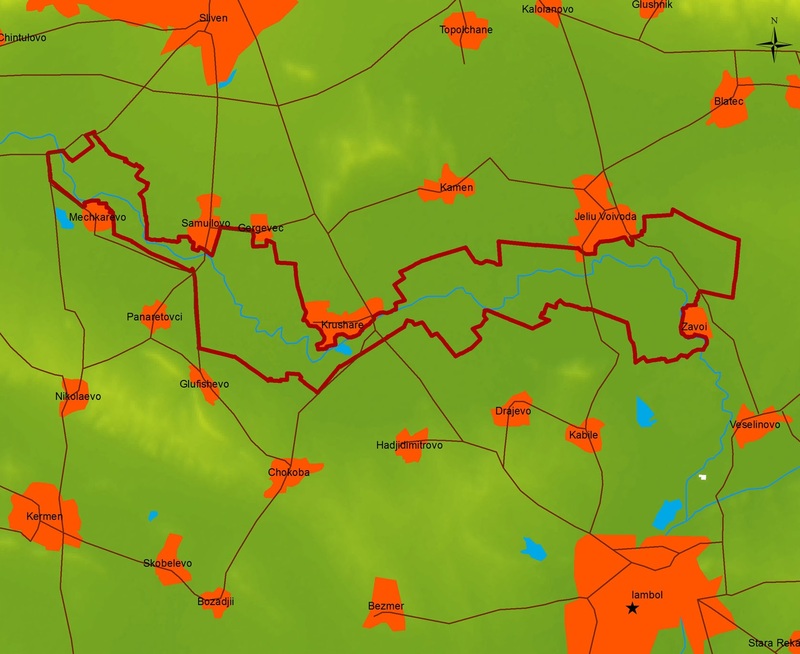 Sakar Special Protection Area (SPA) is located in the south-east of Bulgaria. 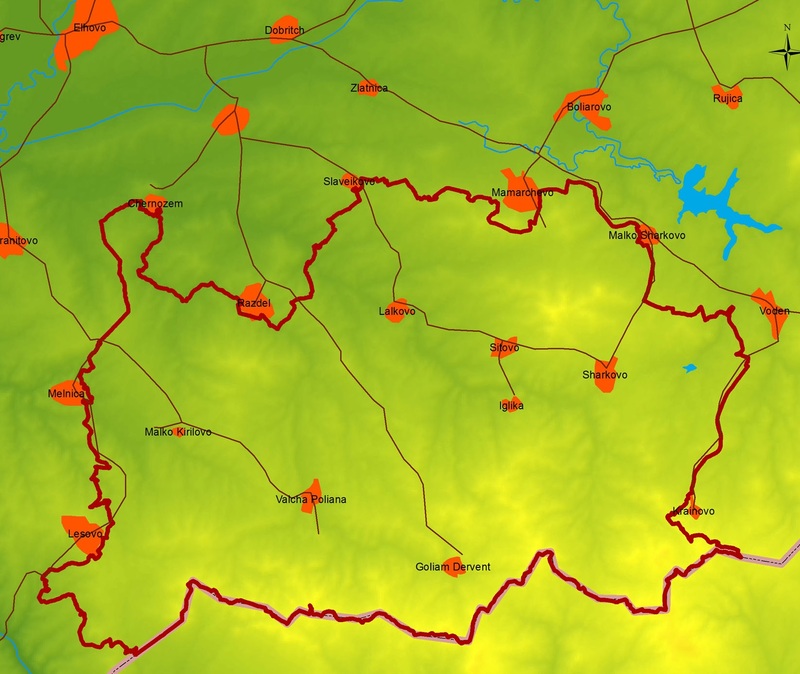 It consists of low, round mountains and open valleys in the Svilengrad and Topolovgrad municipalities. The typical habitats of the area include dry-tolerant grasses, Christ’s thorn bush and mixed oak woods. 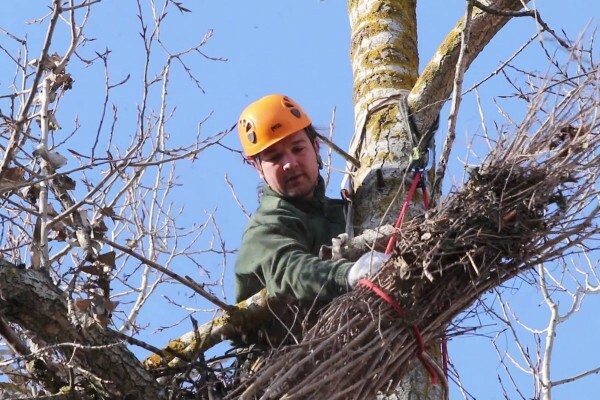 Many river banks still have old white and hybrid poplar trees which provide good nesting sites for birds of prey. The area boasts with a rich biodiversity. Among the species here are: Eastern spadefoot, Balkan glass snake, eastern Montpellier snake, forest dormouse, red deer, hare, European souslik. There are globally threatened species too: Hermann’s and spur-thighed tortoises and marbled polecat. 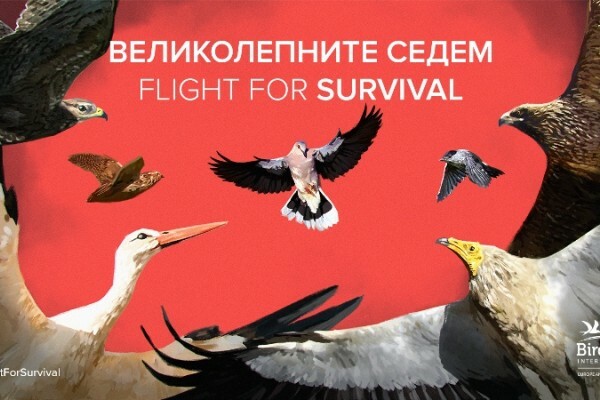 The bird diversity is even richer: 221 species; 59 of them are included in the Bulgarian Red List, and 96 have conservation significance on a European level. 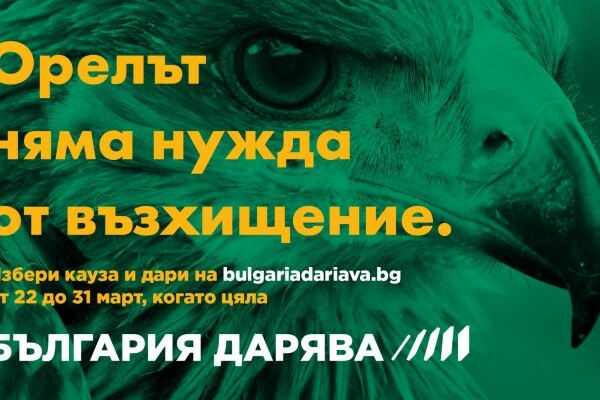 Sakar holds the biggest parts of the Bulgarian populations of the Imperial Eagle Aquila heliaca, Lesser spotted eagle Aquila pomarina, Booted eagle Hieraaetus pennatus, Black kite Milvus migrans and Long-legged buzzard Buteo rufinus. Local people exploit the area extensively (in a traditional, nature-friendly way – with a minimal use of chemicals, heavy machinery and over-exploitation of the land) mainly for animal husbandry, and agriculture and forestry on a smaller scale. Activities leading to the loss of biodiversity include: ploughing pastures for receiving governmental subsidies, and then abandoning them; fires in dry pastureland and meadows, as well as in the plantations of coniferous trees; poaching; construction of wind and solar parks on sites with high conservational value. About 0,1 % of the Sakar territory is protected under the Protected Areas Act. There are seven nature sites, declared protected for their landscape, rock formations or rare plant species. In 1997 the area is declared Important Bird Area by BirdLife International. Derventski vazvishenia is a low-mountain hilly area with a mosaic of different habitats, located to the east of the Tundzha River. The state border between Bulgaria and Turkey passes along their main ridge. About 20% of the territory of Derventski vazvishenia is covered by mixed broadleaved forests of oak, most often Quercus cerris and Quercus frainetto, at places mixed with Carpinus orientalis and Mediterranean elements. Mixed oak forests of Quercus polycarpa and Quercus frainetto occupy the southernmost parts of the region. The hills are divided by many small rivulet valleys with typical vegetation. Agricultural lands occupy also the low parts and the flat areas around the hills. 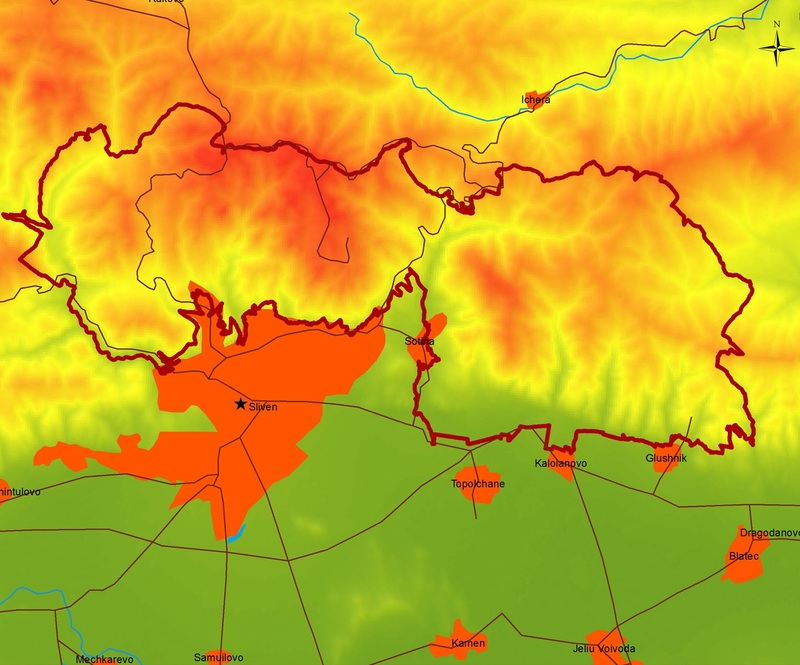 The region of Derventski vazvishenia supports 120 bird species, 25 of which are listed in the Red Data Book for Bulgaria (1985) and 59 have conservation significance on a European level. The biggest population of Olive-tree Warbler Hippolais olivetorum in Bulgaria occurs in Derventski vazvishenia. This region is of particular significance for the globally threatened Imperial Eagle, both during the breeding season and in winter. 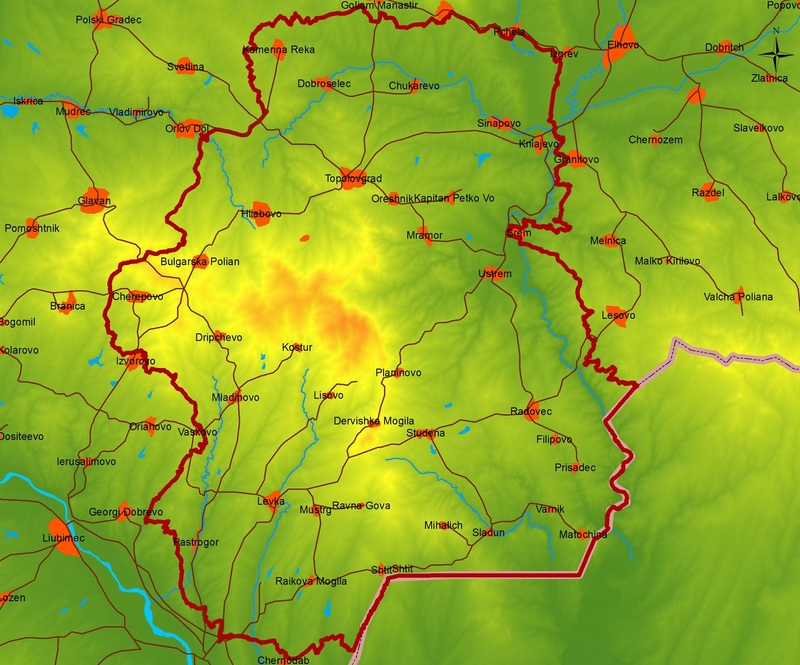 The territory of the SPA is used extensively by local people for livestock breeding and to a lesser extends for agriculture and forestry and is respectively vulnerable to the intensification of both. The decrease in grazing followed by succession, as well as conversion of pastures to arable lands, causes loss of grassland habitats for the Souslik, which forms important part of the target species diet. Other threats include use of pesticides, natural and man-made fires. Only 0.02% of the SPA have legal protection according to the national Protected Areas Law. In 1997 the area has been recognised as Important Bird Area by BirdLife International. The Zapadna Strandzha is located in south-eastern Bulgaria. It covers the western parts of the Strandzha Mountain. Its territory includes several types of habitats, the biggest area being occupied by farmland, pastures and shrubs. The broadleaved forests of are representated by oak Quercus cerris and Quercus frainetto forests with Mediterranean elements. The Zapadna Strandzha supports 112 bird species, 34 of which are listed in the Red Data Book for Bulgaria and 53 have conservation significance on a European level. It is among the most valuable areas in the country on the level of European Union for this species, as well as for the conservation of other 6 bird species ' Black kite Milvus migrans, Montagu's harrier Circus pygargus, Calandra lark Melanocorhypha calandra, Masked shrike Lanius nubicus, Olive-tree warbler Hippolais olivetorum and Middle spotted woodpecker Dendrocopos medius. The region of Zapadna (Western) Strandzha SPA is used extensively by local people for livestock breeding, agriculture and forestry. Attempts to intensify agriculture use linked to pastures conversion is hazardous to the SPA as this will result in shrinking of the favourable hunting grounds of the target species. There are five protected areas under the national Protected Areas Act in the site. They cover less than 1% of the SPA. In 2007 the IBA is approved as SPA under Bird Directive by a decision of the Council of Ministers. Adata-Tundzha is located in southern Bulgaria, south of the town of Sliven. It is a complex of agricultural plots, meadows with meso-xerothermal grass vegetation interspersed with shrubs, pastures and open grasslands, located on the Tundzha river terraces. The site includes the Tundzha riverbed itself with its clay and sandy banks, as well as the riverine grass, shrub and tree vegetation. Adata-Tundzha supports 160 bird species, 36 of which are listed in the Red Data Book for Bulgaria (1985) and 68 have conservation significance on a European level. The area is of global importance during the winter as roosting site for the Pygmy Cormorant Phalacrocorax pygmeus and as staging ground for the Great Egret Egretta alba. The area is regularly used during the winter by the Imperial Eagle Aquila heliaca, which is also threatened on global scale. Adata-Tundzha is one of the most important site in the country on a European Union scale for the the conservation of Tawny Pipit Anthus campestris, Great Bittern Botaurus stellaris and Montagu's Harrier Circus pygargus. In The territory of the SPA is used extensively by local people for livestock breeding and to a lesser extends for agriculture and forestry and is respectively vulnerable to the intensification of both. 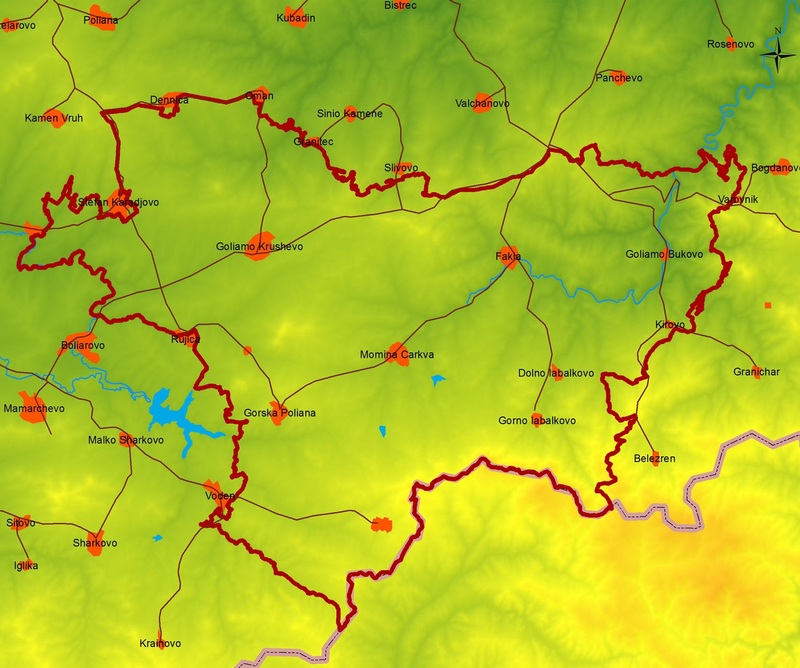 The area does not have legal protection by the national conservation legislation. In 2005 it was designated as Important Bird Area by BirdLife International. Kamenski Bair is located in southern Bulgaria, southwest of the town of Sliven, in the grounds of the village bearing the same name. The riverbed of the Tundzha is located to the south of the area, while its tributary, the Arka river, passes through it. Kamenski Bair is a low treeless hill. The main habitats are the open areas of farmland (arable and abandoned), pastures and shrub associations. In spite of its small territory Kamenski Bair supports 142 bird species. 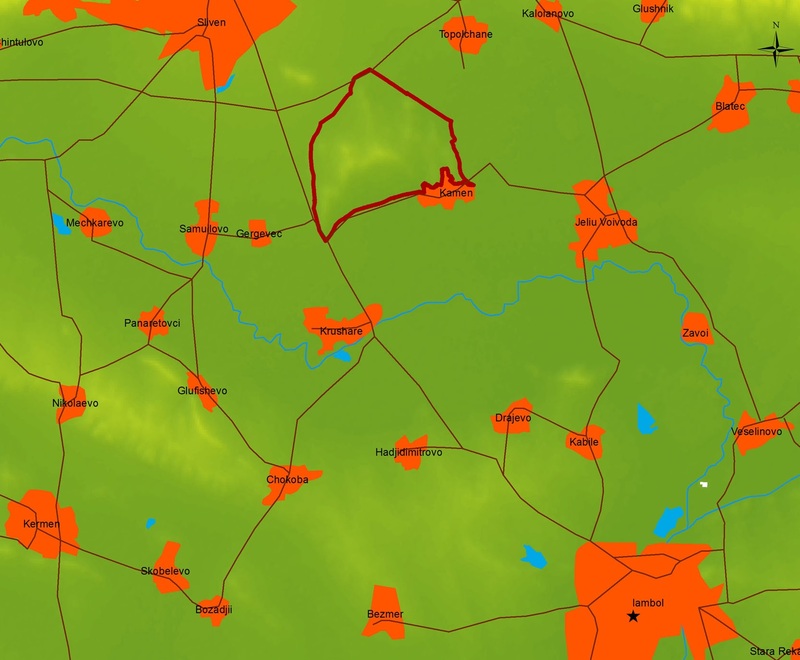 The area provides suitable habitats for 43 species listed in Annex I of the Birds Directive. Kamenski Bair is of global importance as one of the most temporary settlement areas in the country, used as a hunting ground by the globally threatened Imperial eagle Aquila heliaca. Kamenski bair is also a hunting area for other threatened birds of prey such as Black kite Milvus migrans and the Egyptian vulture Neophron percnopterus during the breeding season, as well as for the Pallid harrier Circus macrourus, the Marsh harrier Circus areuginosus, the Montagu's harrier Circus pygargus, the the Lesser spotted eagle Aquila pomarina and the Booted eagle Hieraaetus pennatus on migration. Kamenski Bair does not have legal protection under the national nature conservation legislation. In 2005 it was designated as an Important Bird Area. It has been approved as SPA under Bird Directive by a decision of the Council of Ministers since 2 March 2007. The area is located in the Sliven Mountain, which is a part of the main Balkan Mountain chain. It covers part of the southern slopes of the Eastern Balkan Mnt. with forests, grasslands and rocks. The area of Sinite Kamani, Stidovska Mountain and Grebenets Ridge supports 170 bird species. This area provides suitable habitats for 69 species also listed in Annex I of the Birds Directive. The area includes some very valuable breeding and feeding habitats for threatened diurnal birds of prey, like Imperial Eagle Aquila heliaca, Saker Falcon Falco cherrug, Egyptian vulture Neophron percnopterus, Golden eagle Aquila chrysaetos, Long-legged Buzzard Buteo rufinus, etc. This is the site where some of the latest records of the Lesser kestrel Falco naumanni in Bulgaria were done in 2006. Sinite Kamani-Grebenets is of global importance for the Imperial Eagle both for breeding and as temporary settlement area for concentration of young and immature birds. The area is one of the most important ones in the country on an European Union scale for the Saker falcon Falco cherrug as well. The territory of the SPA is used extensively as tourism and recretion site by national and international tourists. Local people use it for livestock breeding and to a lesser extend for agriculture and forestry and are respectively vulnerable to the intensification of both. The decrease in grazing followed by succession, as well as conversion of pastures to arable lands, causes loss of grassland habitats for the Souslik, which forms important part of the target species diet. Other threats include use of pesticides, natural and man-made fires; the emerging threat of wind-power development may jeopardize the area. About 70% of the territory of the SPA is under legal protection through the designation of 'Sinite Kamani' Nature Park.